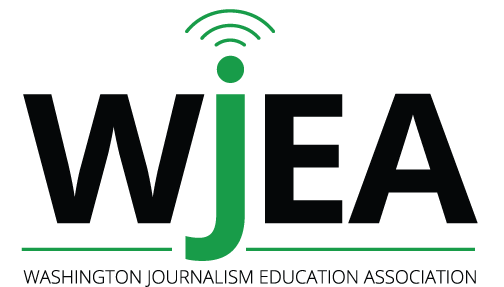 about the award: The WJEA Fern Valentine Freedom of Expression Award is presented every year to a WJEA member who has advocated student free press rights in Washington State. The award includes a check for $500 to be spent at the adviser’s discretion, and is presented in the interest of promoting fair, accurate, responsible and uncensored journalism in Washington State. qualifications: The recipient of this award will be a WJEA member who has worked beyond the call of duty for student free press rights, and may have risked reputation, professional standing and/or career to advocate such rights.nomination: An adviser may self-nominate, or may be nominated by a student or colleague. A nomination consists of a letter, email or telephone call to the committee chair (see contact information below). When the nomination deadline is passed, the committee chair will contact the nominees for more information. This additional information may include a statement written by the nominee describing the nominee’s work and risks taken in the interest of student free press rights, letters of recommendation, examples of student work, professional media coverage of controversies, etc.